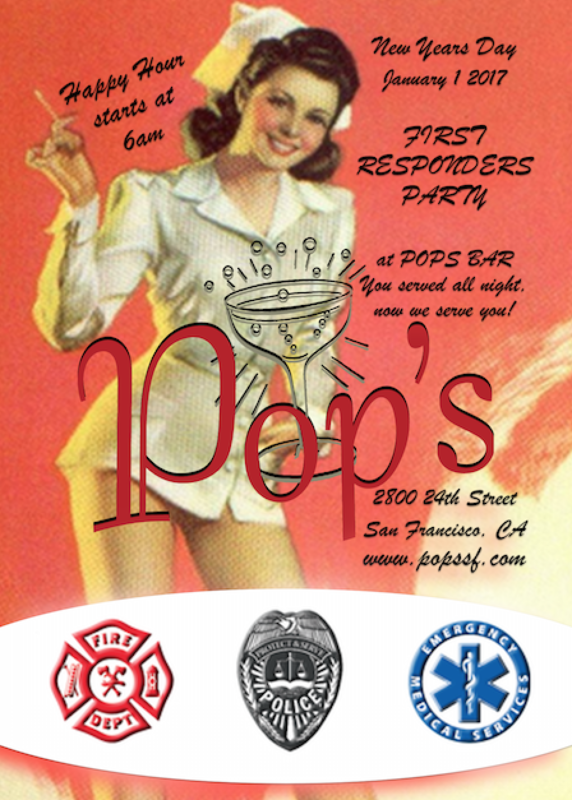 Neighborhood NYE & First Responders Party! Let’s face it NYE is often amateur hour. Avoid the drama and spend New Years in the neighborhood with your friends at Pops Bar. We’ll have Resident DJ Sector ringing in 2017. The best part? This NYE party is free all night! Then as begin 2017, we open bright and early at 6am for all you first responders coming off your shift. You served all night, now we serve you! You served all night, now we serve you. Happy Hour starts at 6am!